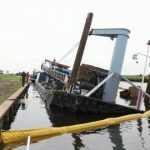 On August 2, the 38 meter long crane barge Liesveld sank on the Eem River between Hoogland and Soest, Netherlands. 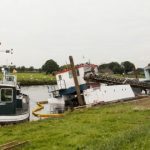 The Liesveld had been moored along a quay when it flooded on its port side. 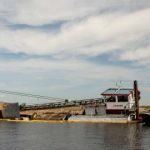 An excavator on the deck fell overboard and some oil and diesel fuel was released into the water. 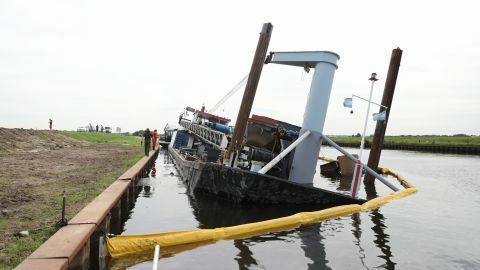 Authorities placed booms around the Liesveld to contain any pollution. No reports of injuries. The cause of the flooding was not reported.